Although it is often described in different terms, the expedition that led to the "discovery" of Newfoundland was primarily an economic enterprise. King Henry VII of England gave the Cabots the right to explore, provided they did so at their own expense. In return, they were expected to give him one fifth of any profits they might earn. For about three hundred years after, economic activity in Newfoundland was carried on from European bases. The fishery was a seasonal operation, pursued by English, French, Basque, Spanish and Portuguese who returned to home ports in Europe each winter. although thousands of people came for the summer fishing season, the resident population grew very slowly by comparison with other North American colonies. Reproduced by permission of Ben Hansen. From Ben Hansen, One Hundred Outports(St. John's, NL: Vinland Press, ©1990) 19. What one historian has called "the one brief period of substantial European migration" (Noel 1971:4) came at the end of the eighteenth century and the early decades of the nineteenth, during and immediately after the Napoleonic Wars, when there was a rapid influx of settlers from southwestern England and southeastern Ireland. There was very little further immigration after about 1840. A hundred years later, over ninety-eight per cent of the population was native-born. 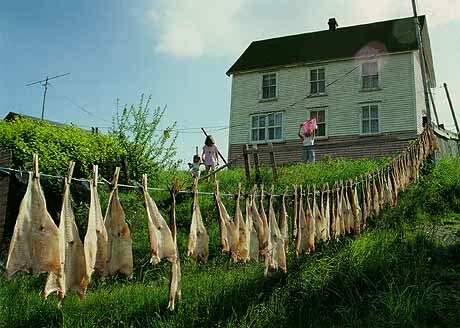 The settlers came because of opportunity in the cod fishery, and although prices and catches fluctuated considerably over the years, the Newfoundland-based fishery continued to expand. Throughout most of the nineteenth century it was, in the words of another historian, "the only important source of commercial employment and income" (Alexander 1977:1). Most of the workers in the seasonal fishery of the earlier centuries had been employees or indentured servants, but the Newfoundland-based fishery of the nineteenth and early twentieth centuries was pursued mainly by family-based enterprises. although the fisher families were nominally independent, a “truck” or barter system kept them indebted to merchants who outfitted them with gear and supplies on credit and took their processed fish in payment. Many families saw very little cash from one year's end to another. The colony achieved an elected government in 1832, and responsible government in 1855. By the 1880s, the traditional fishery was at its peak, and could no longer absorb the rapidly-growing labour force. The government began to pursue a policy of land-based development and diversification rather similar to Canada's. A heavily-subsidized railway was built across the island and inducements were offered to encourage agriculture, manufacturing, and resource-extraction industries. In return for tax concessions, land grants, monopolies and subsidies of all kinds, the government required only jobs and the promise of growth. Ever since, governments have pursued their own versions of this strategy. Each has made enthusiastic predictions of a glorious future, but the results have not lived up to expectations. Nonetheless, industries that did survive, such as some of the mines and the pulp and paper operations, took an increasingly important role in the economy while the traditional fishery declined. In the 1870s, the fishery accounted for over ninety-five per cent of annual exports. By 1920 it was seventy-one per cent, and by 1930, thirty-seven. By that time, Newfoundland was in desperate condition. Annual incomes were low, the tax base was small, and in spite of minimal expenditures on social services the government was finding it impossible to meet payments on a massive public debt. In 1934, Newfoundland gave up its status as a dominion of the British Empire to be governed by a Commission appointed from London. The world-wide Depression of the 1930s was bad everywhere, but particularly so in Newfoundland. The Commission of Government attempted to increase self-sufficiency, devoting much effort to encouraging agriculture, but the harsh climate and sparse soil made such development precarious at best. According to some analysts, the money spent on such developments made it impossible for the Commission to bring about improvements in the fishery. As they had been doing since the 1880s, Newfoundlanders who were able to do so left home in search of employment. By the middle of the 1930s, there was one native-born Newfoundlander abroad for every six at home. The Second World War and the coming of American forces in 1941, under an agreement with Britain, brought an economic boom and nearly full employment. By the end of the War, Newfoundland was solvent again and had been able to make large interest-free loans to the Mother Country, but nothing had been done to solve the basic economic problems. After the war, it was largely the promise of improved incomes and services that convinced a bare majority of Newfoundlanders to vote for confederation with Canada, which came into effect in 1949. The new provincial government of Premier J.R. Smallwood pursued the old policies in a new guise, using Ottawa's assistance to build roads, water and sewer systems, hospitals, schools and electric power lines, and to provide subsidies, grants, tax concessions and loans to attract multinational capital. Among the most controversial policies was the Community Resettlement Programe of the 1960s, under which inhabitants of small traditional fishing communities were induced to leave them for “growth centres.” Hindsight indicates that many of the small communities would probably have been vacated voluntarily in any case, but many of the people who resettled were disappointed by their circumstances after the move, and many in the following generation looked back on the programme with bitterness and resentment as a betrayal of the culture and traditions that made Newfoundland distinct. There are many controversies. Some would argue that governments had no choice but to pursue land-based industrialization. Others would argue that land resources in Newfoundland and Labrador are mostly too remote and too marginal in the world economy, and that money spent on unsuccessful and marginal enterprises would have been better invested in development of the fishery. As it has worked out, in spite of heavy dependence on transfer payments from Ottawa, throughout the last half-century Newfoundland's economy has been characterized by low average incomes and high levels of unemployment. The fish that attracted Europeans here in the first place have been shipped to the United States after only minimal processing, and the vast resources of the Grand Banks have been exploited by a highly mechanized foreign industry. In spite of many warning signs, governments continued to encourage the building of fish plants and boats, and the entry of more people into fishery jobs. Unemployment insurance and federally-funded works programmes kept the fishing communities alive, even though the industry underwent no structural change. In 1992, the species that was the mainstay since the sixteenth century reached a point of near commercial extinction in Newfoundland waters, and a moratorium was placed on the fishing of Atlantic cod. Other species continue to be fished, but the moratorium removed the main source of employment and income for hundreds of small communities. The traditional fishing economy, of course, had long since disappeared, but it had left a social and cultural residue in the architecture, family and community structures, and ways of seeing and feeling that form the basis of identity. The communities, and some of that lingering sense of self, of mutual belonging, have been at least partially maintained by a series of income-support and re-training schemes funded by the federal government, and by the promise, implicit or explicit, that the cod would come back. Now, in 1998, the last such programme has been implemented, including the retirement of older fishery workers, the buying-out of licences, and inducements for rural people to move away. Whether or not the cod should ever return, it seems clear that the fishery will never again support the communities. Reproduced by permission of Hibernia Public Affairs. From the Hibernia Frontier 2.6 (©June 1997): 5. 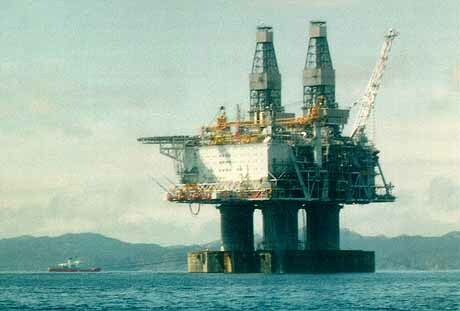 The provincial government pins its faith on new mega-projects in resource extraction and high-tech developments in which they hope Newfoundland's disadvantages of location will be less important. On a more modest level, government and some in the rural communities hope to exploit the location and the distinctiveness of Newfoundland life and culture through the development of tourism. The economy and society have never been static, but it may be that the changes taking place now are more profound than any that have occurred before.